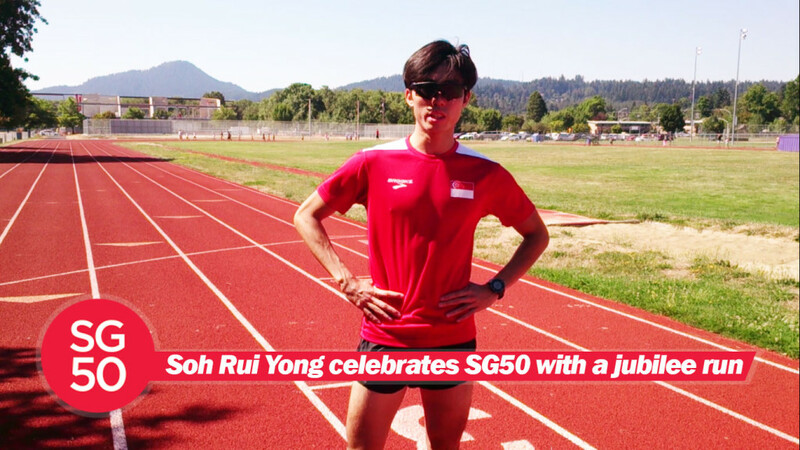 Singapore’s Southeast Asian (SEA) Games men’s marathon gold medalist Soh Rui Yong will compete at the 2015 Portland Track Festival 10000m event, with an eye on creating another piece of history in what has already been an illustrious year in his fledgling marathon career. At the same track where he clocked the 10000m national record last year with a time of 31:15:59, this will be his first competitive meet since his gold medal performance in the marathon at SEA Games Singapore 2015. Link to Portland 10000m event, held 8pm on 9th of August. With barely enough time to train for this meet after arriving back in the United States after his SEA Games exertions, the 24-year-old’s decision to compete in the 10000m might surprise onlookers but like his usual confident self, careful considerations were made before he entered the event. “Ian Dobson (Rui Yong’s coach) and I spoke about this a month ago but I said I’ll only run if I felt that I’m back in decent shape. With little prep time before the event in mid-August, Rui Yong revealed that he has a metal piece of memorabilia that is safely hidden in his cupboard, which reminds him to push for greater heights. As for his chances of rewriting the national record on the same hallowed ground that carries special memories for the long-distance athlete, he answered in true Rui Yong fashion where “anything goes”. “Honestly, it’s a bit of a tossup now. I’ll only be four weeks back into training but having done marathon training for a year means I’ve an immense base fitness. With that said, it will be 25 laps around the Portland track that will separate Rui Yong from adding another star on his superb year so far. Good luck from us here in Singapore to the man who calls himself, ‘RunSohFast’!